Salmon roe, pulled out of its sac and simply marinated in the sweet soy sauce of Kyushu, is irresistible this time of year. We love it so much it is on the table for breakfast, lunch, and dinner. Crabs are also coming to market. Another highlight this time of year is fresh scallops and oysters, both best when raw. Kawahagi may not be the most beautiful fish to look at, but when cut of its leathery skin, and served as sushi with its liver, it is heavenly. 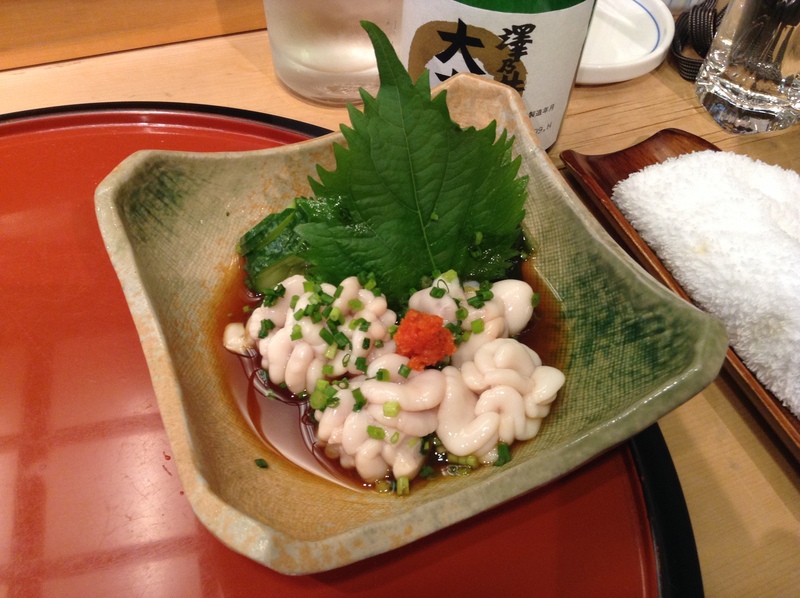 Shirako, or milt, is often from cod fish, but Japanese chefs I speak with say that the best milt comes from fugu. Many people who try this love its creaminess and velvety texture. But, once you tell them what it is they sometimes change their mind. Here it is steamed and then served with a tart ponzu and grated daikon with chili. We offer tours to markets in Tokyo if you are interested. Our contact information is in the “about Yukari & Shinji Sakamoto” section. Hope to see you in Tokyo soon! Oh! To have fresh salmon roe at the breakfast table, what a luxury. Your simple yet explicit photos look great. Hi Yukari and Shinji Sakamot, great post you have here for seasonal seafoods, I love japanese foods, especially the japanese way of preparing the menu. 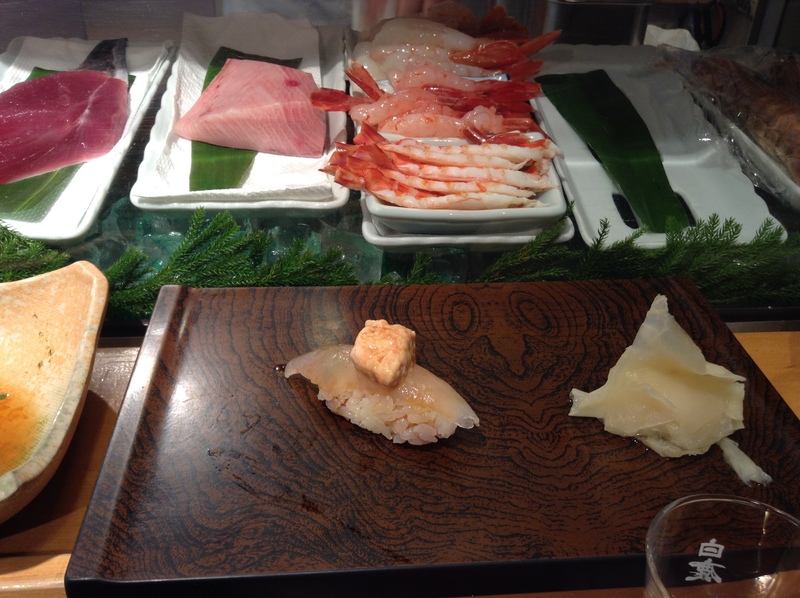 I always dream of going to tokyo and experience authentic japanese seafoods, though there are lots of Japanese restaurant in our area, but I am very interested to know more about the seasonal seafood which I hardly find anywhere else in the US. Rest assured I will boomarked your blog to read more about your interesting topic whenever I have free time. I have found some salmon milt in the market today – but cannot find any recipes for it, either on the internet or in my Shizuo Tsuji cook book. What would you recommend? Do you mean milt (shirako) or roe (eggs)? For milt, we usually steam in sake and serve with some ponzu. But, I am not familiar with salmon milt. For roe, gently remove the eggs from the sac and put in a glass jar. Add some soy sauce and put in the refrigerator overnight. Serve over hot rice. 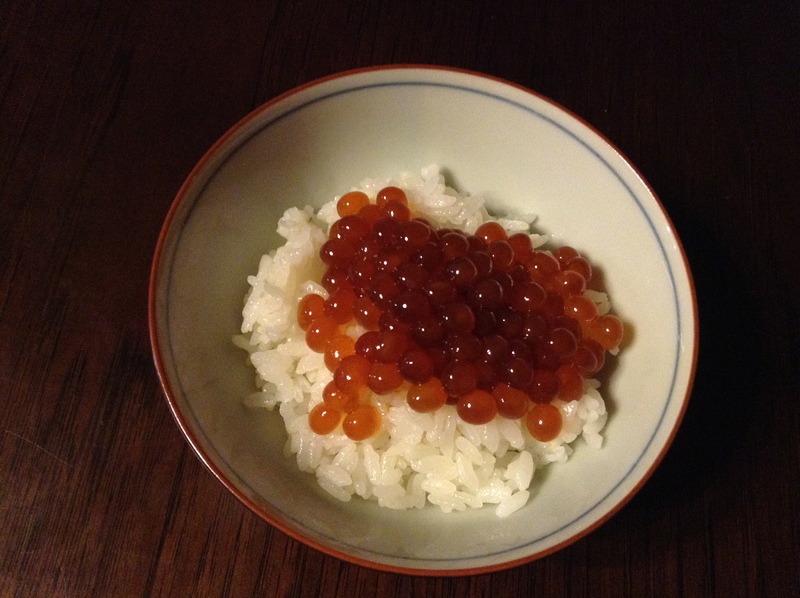 It is shirako – and yes, we love the salmon roe (ikura). I bought it thinking it might be herring roe (which I don’t seem to be able to find here), but my translation app says its salmon milt from Hokkaido! Curious, do you have a photo? I wonder if you could upload a photo to this? Try steaming it in sake and serving it warm with ponzu. Ponzu is 1 part each of soy sauce, mirin, and some tart juice like yuzu or lemon if you can’t get your hands on ponzu. At home we cook cod milt. At Tsukiji Market we often see milt from fugu (pufferfish). just sent you my email address. maybe you can email me the photo? Got the photos! Very cool. But, I would prefer to steam it in sake and serve with ponzu. Serve it with a sake.